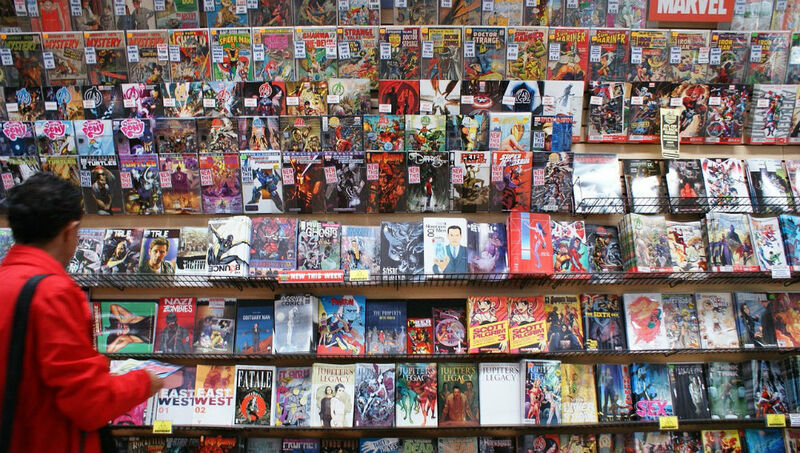 Here’s what’s of interest from Archie for May 2013. Full solicitations are available here. Archie’s “GLEE” crossover is finally coming to an end, with what sounds like some sort of “Crisis on Earth-1/Crisis on Earth-2” deal. Never having seen “GLEE,” I have zero interest, so skipped this one. 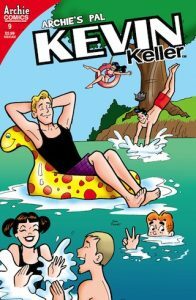 This month’s “Kevin Keller” sees (like most of the Archie titles this month) a summer vacation story. Besides going with his family on vacation, Kevin’s also working as a lifeguard, like in last year’s summer issues. The variant cover’s a take-off on a classic Sabrina the Teenage Witch cover, complete with the same 70s-era electronics. Also worth noting is a 1000-page paperback of classic Archie stories. I assume it’s similar to the smaller-sized paperbacks on sale at Barnes and Noble for a discount, which might make this one a popular choice for kids.